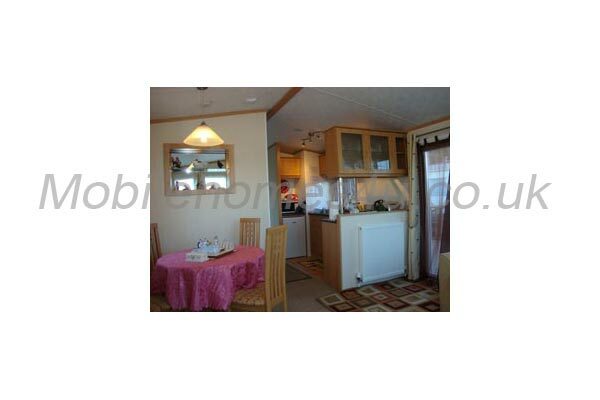 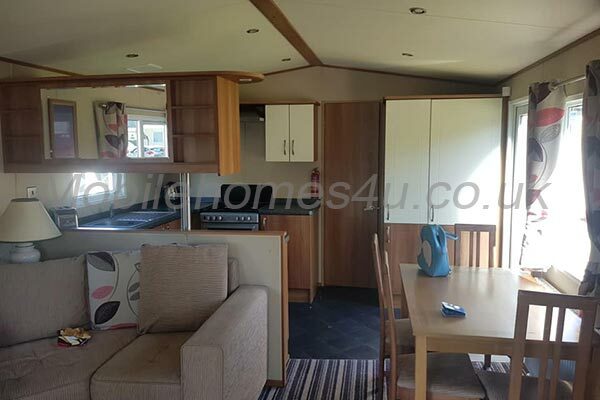 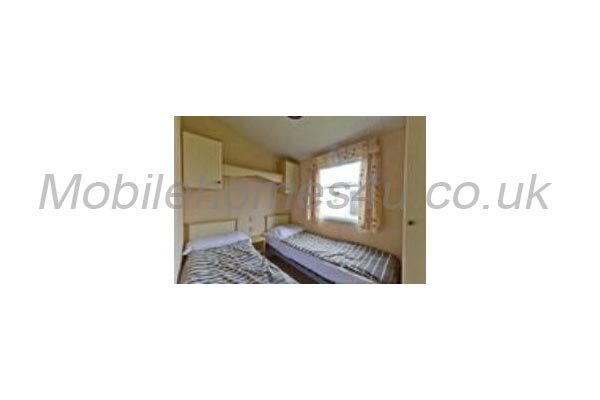 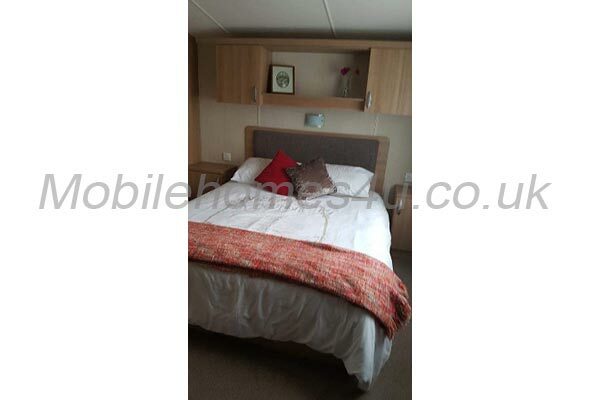 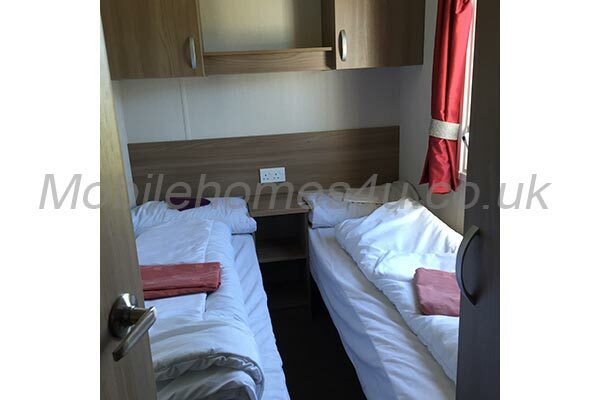 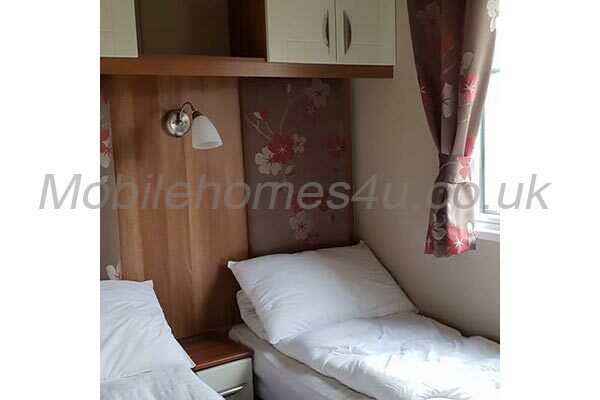 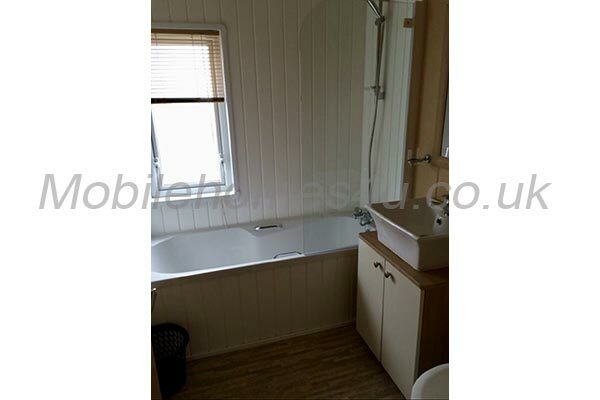 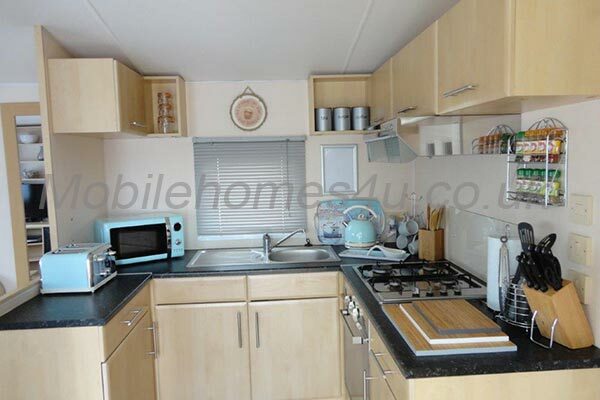 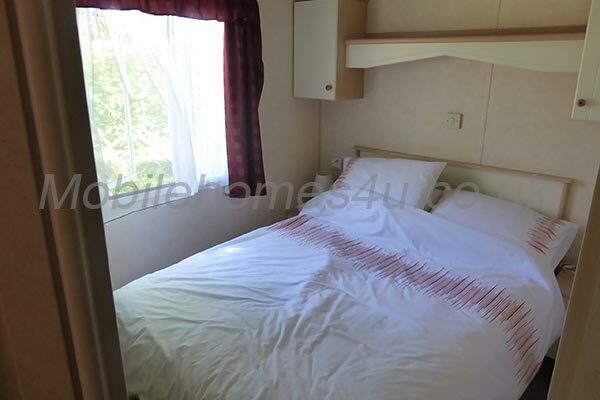 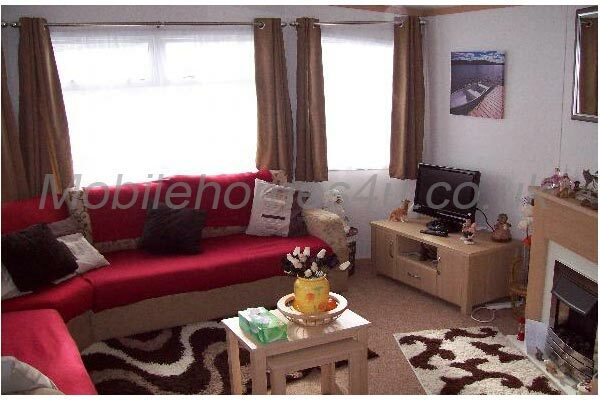 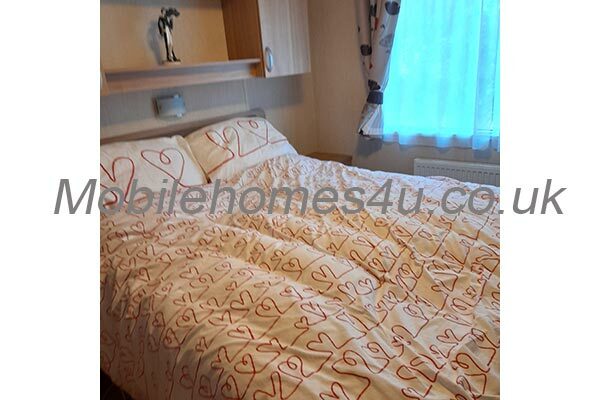 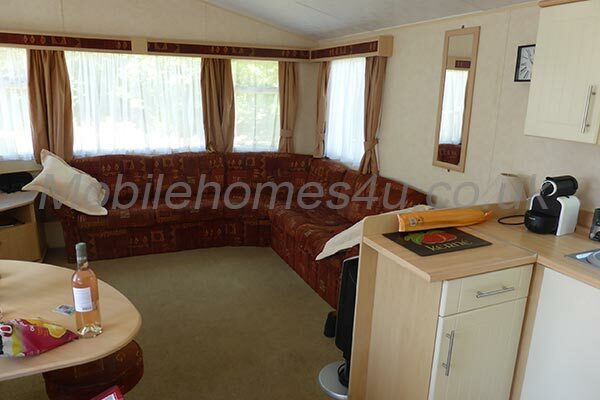 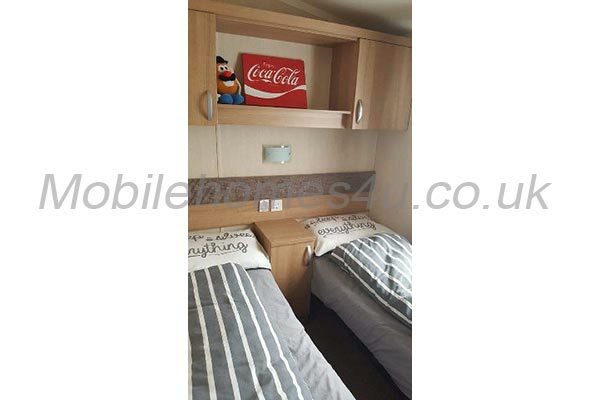 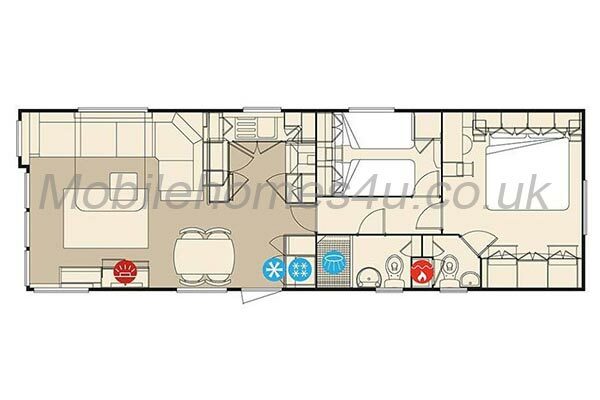 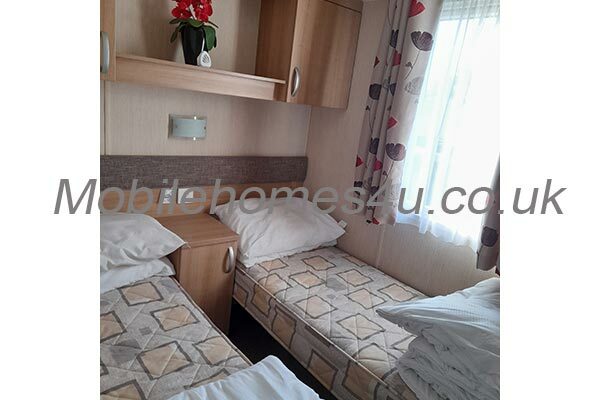 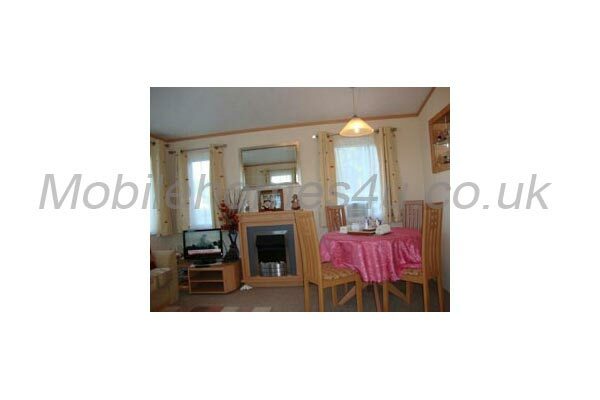 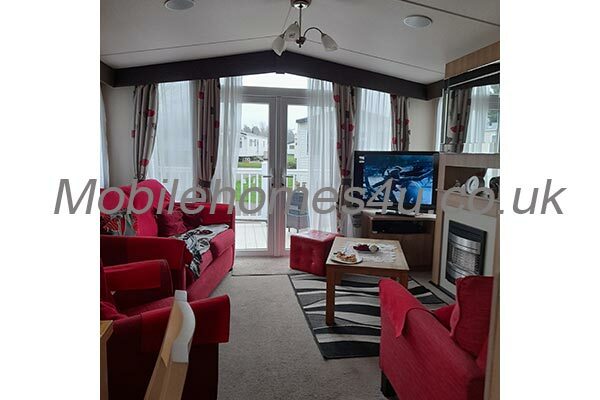 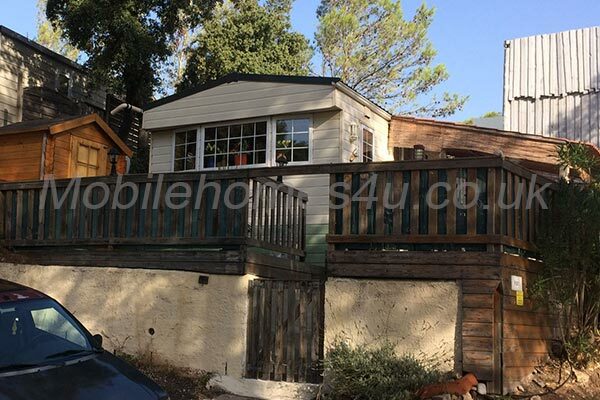 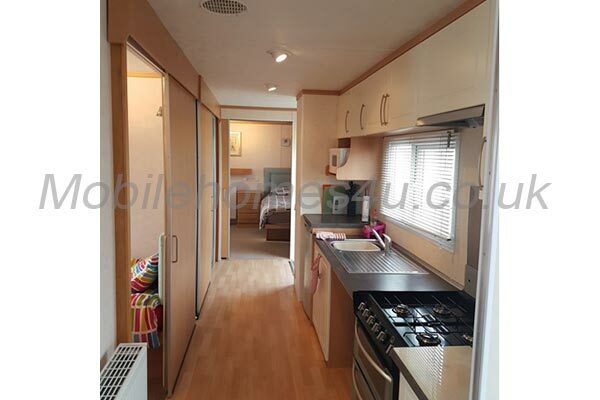 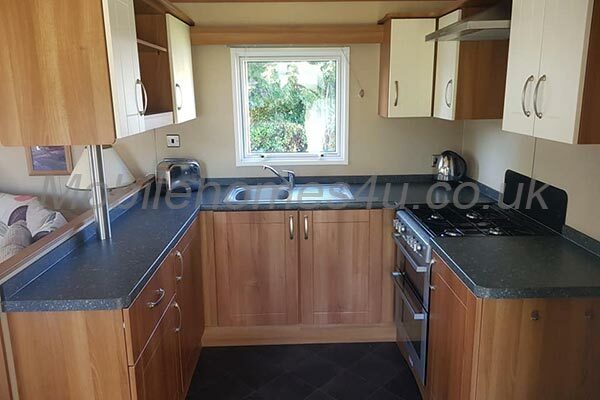 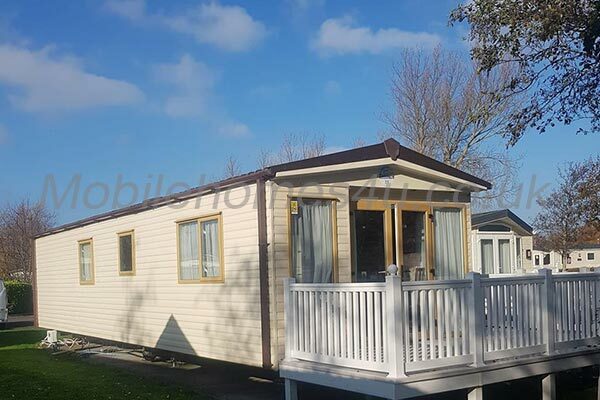 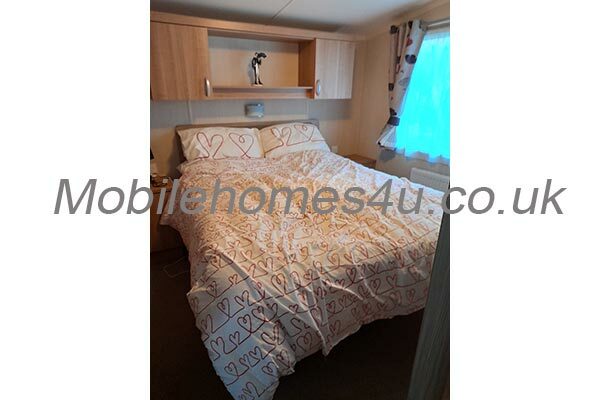 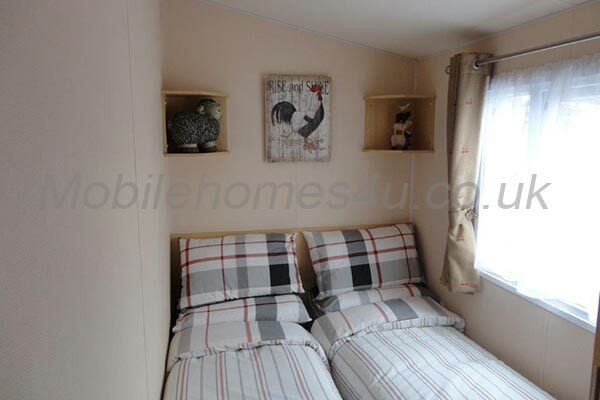 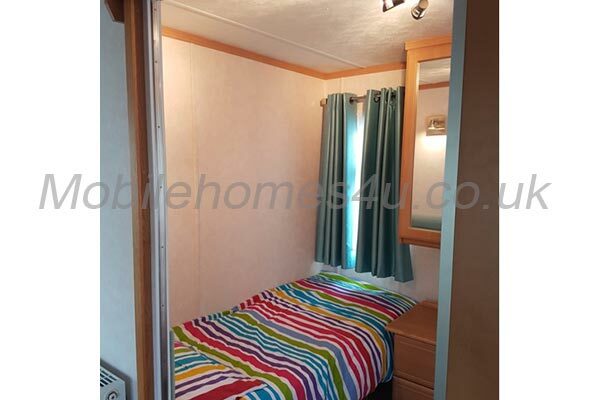 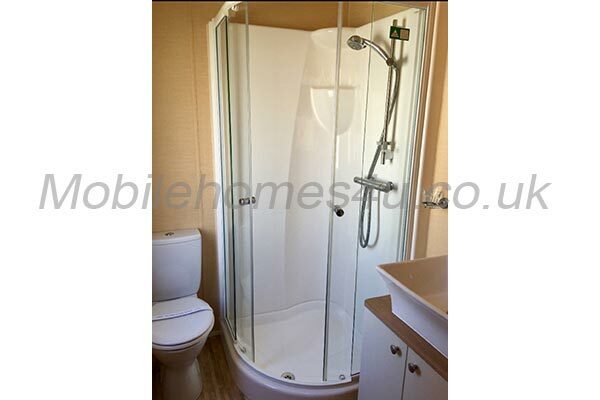 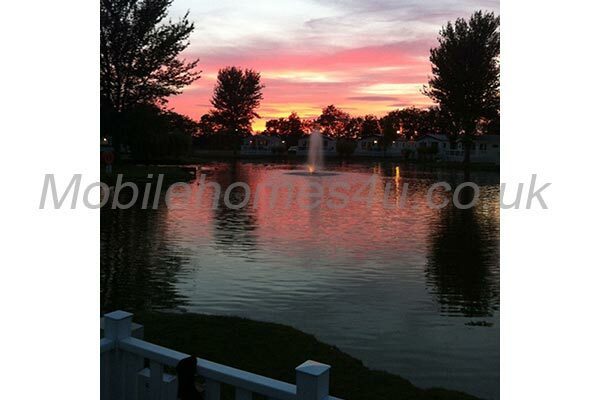 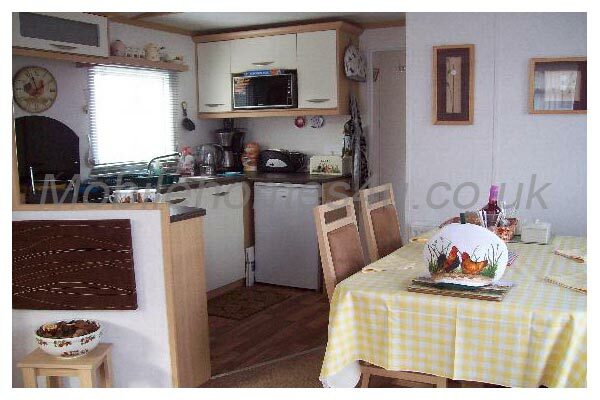 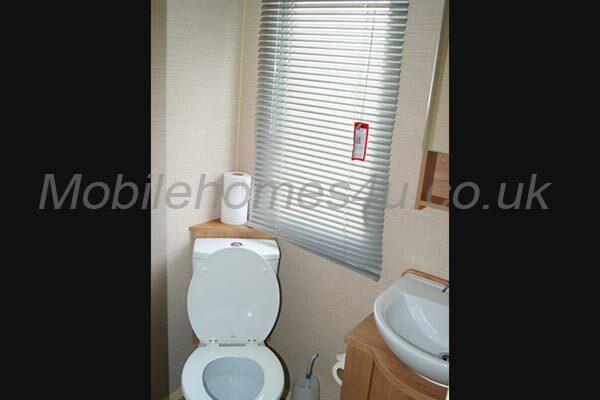 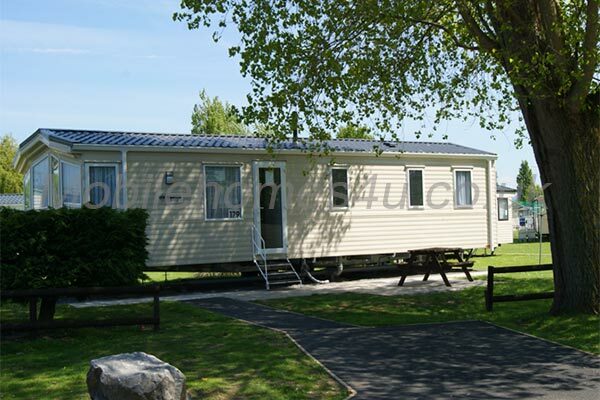 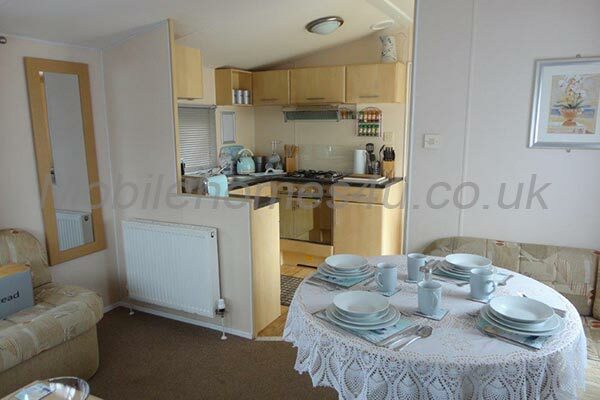 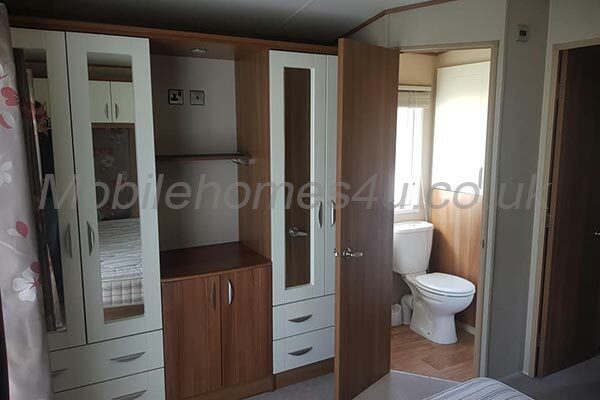 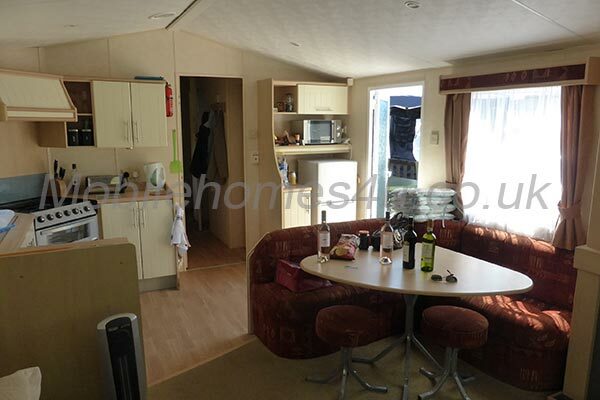 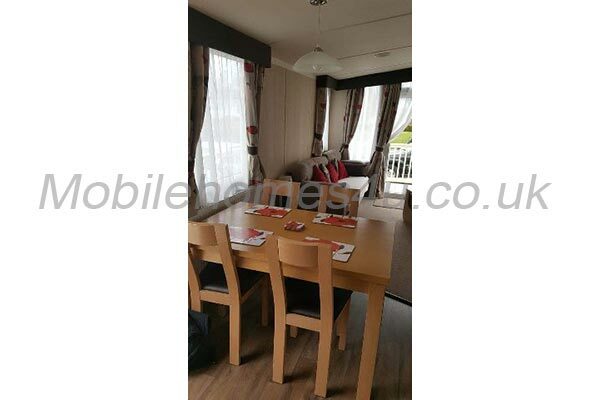 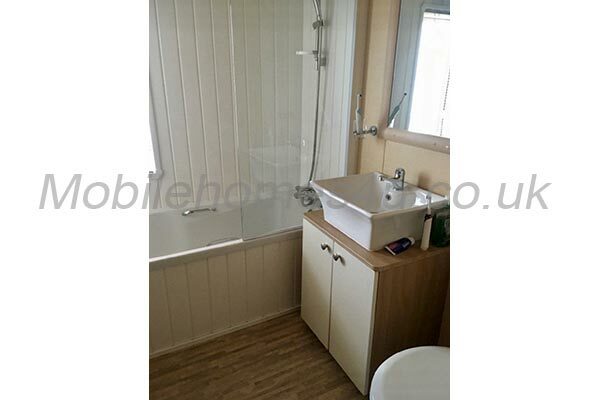 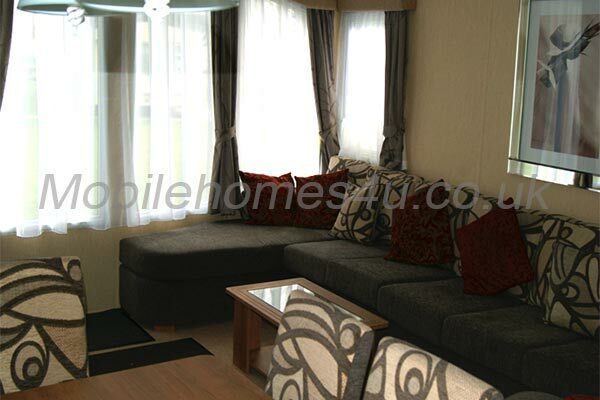 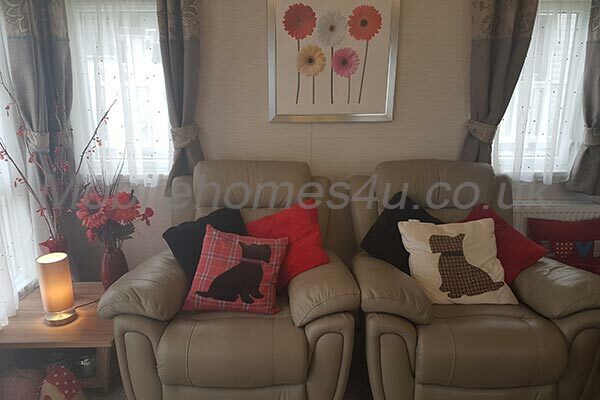 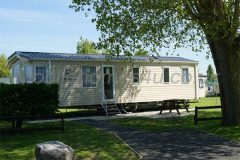 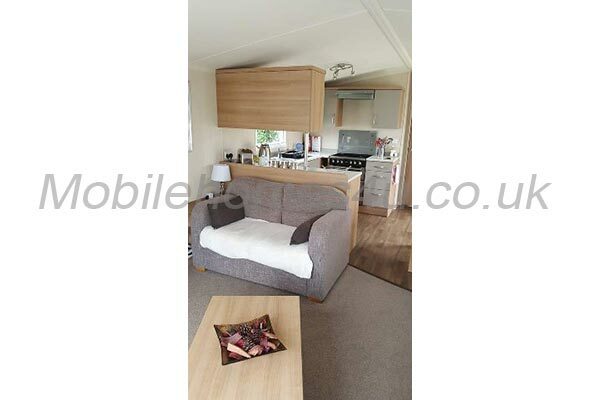 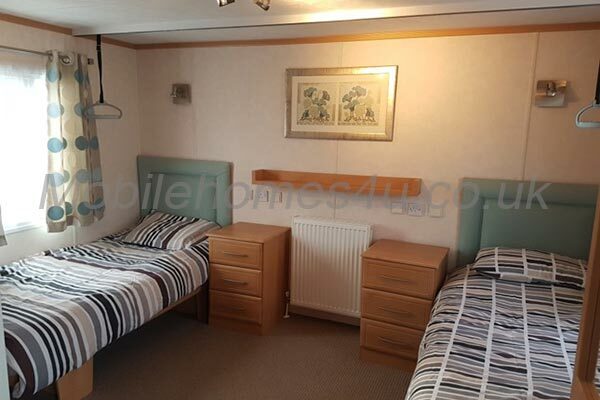 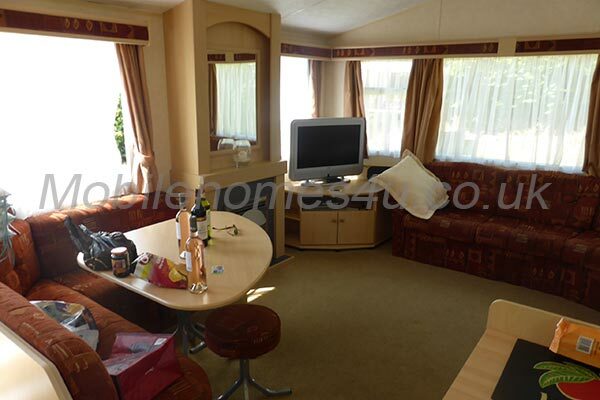 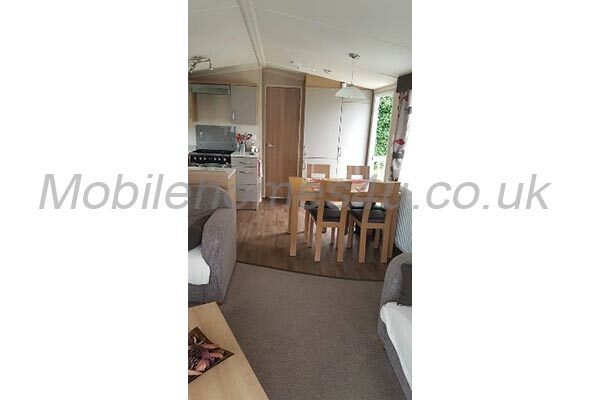 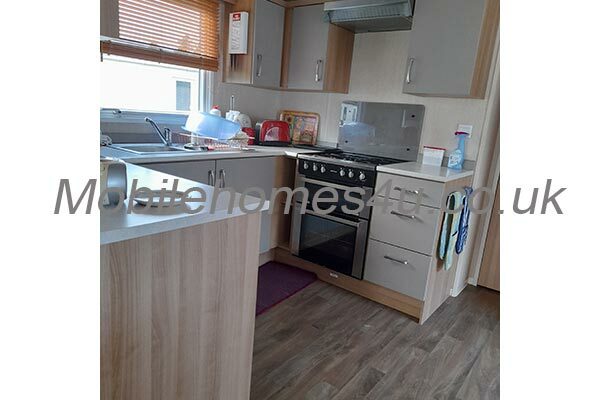 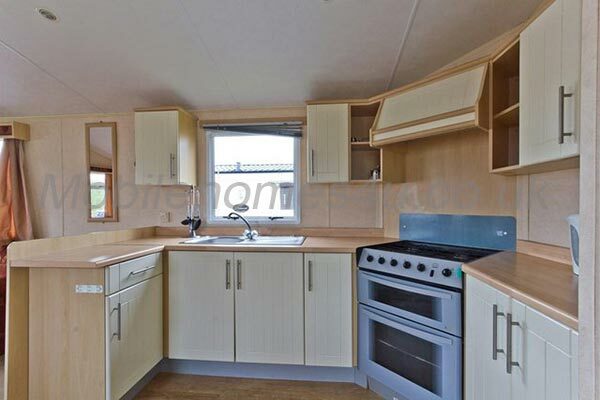 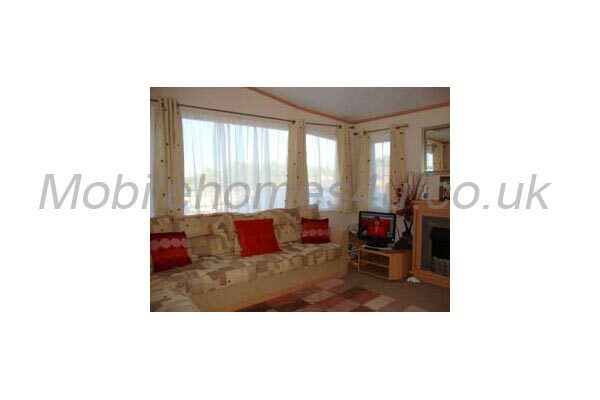 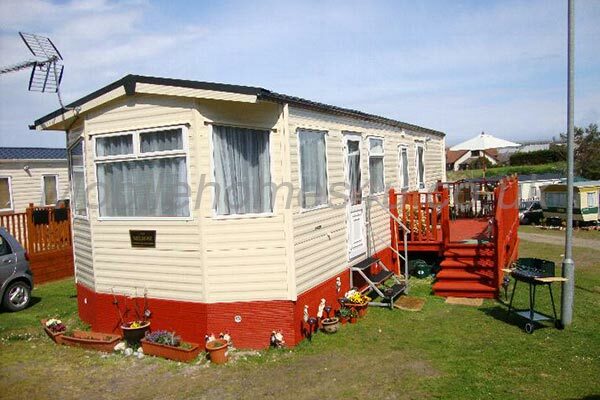 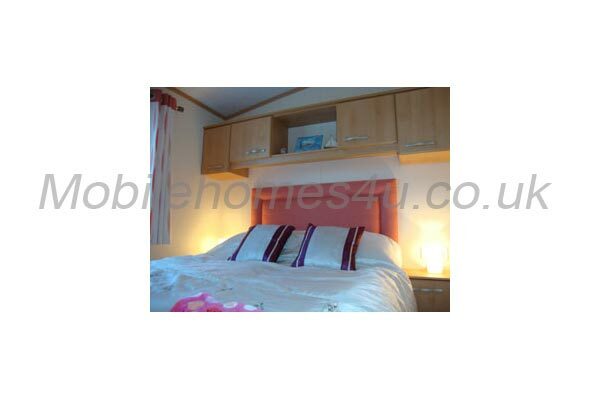 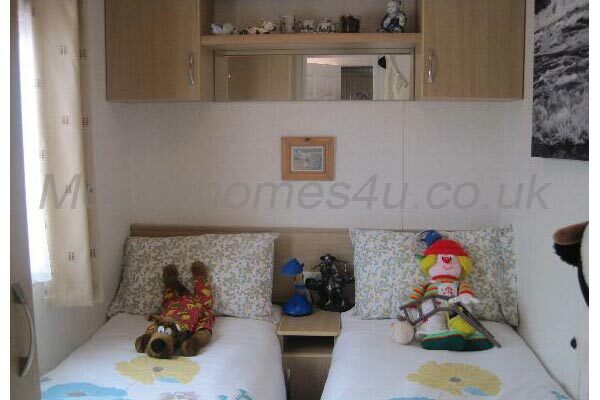 Our mobile home is 35ft x 12ft with a very comfortable and homely interior. 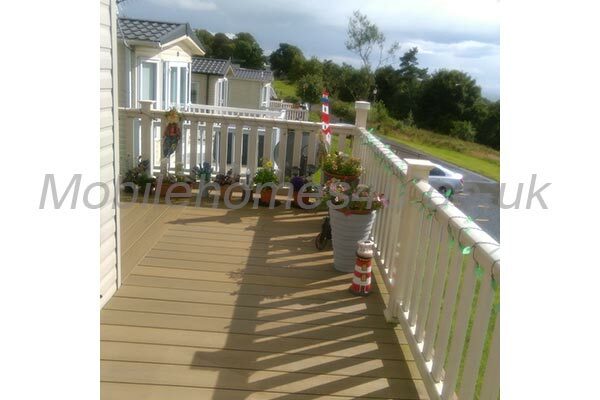 The outside decking boasts 3 separate areas. 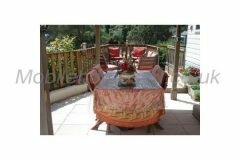 A shaded gazebo area for dining alfresco. 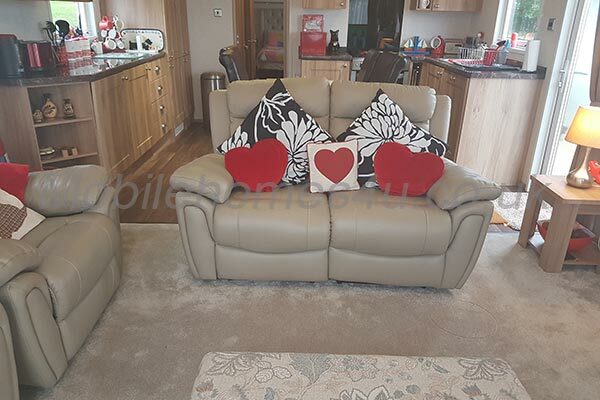 A casual seating area complete with coffee table ideal for sipping a cold drink & getting lost in a good book. 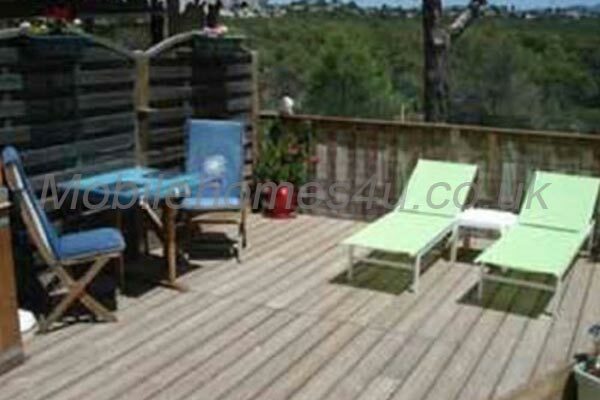 Lastly a spacious area for lounging in our sun drenched plot. 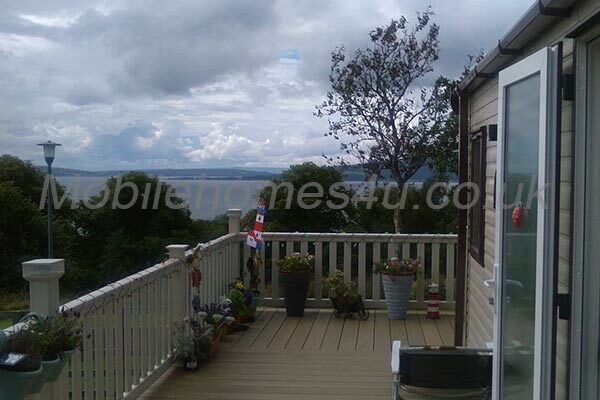 All areas are very private & have the benefit of uninterrupted views. 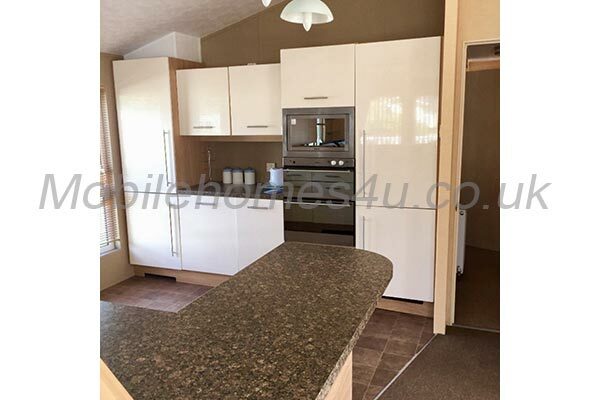 To enhance the outdoor living theme we have the luxury of having an outside cooking and prep area consisting of a mini oven/grill, 2 ring electric hot plate and electric bbq. 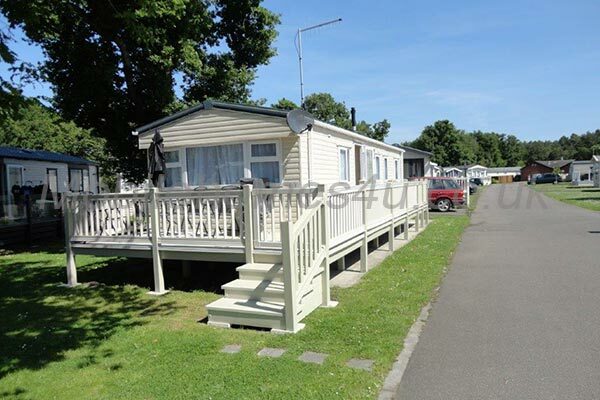 (Real flame bbq are not allowed). 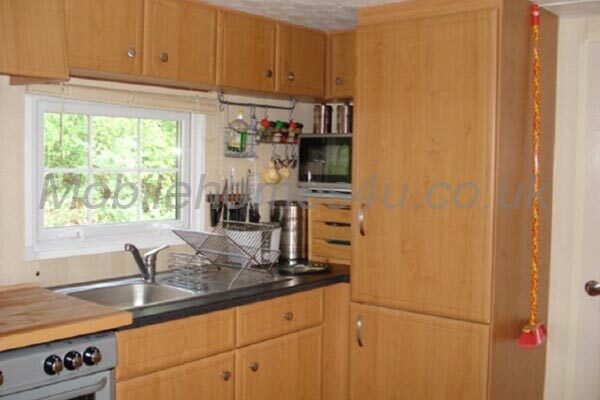 Last but not least an outside fridge to keep those all important drinks ice cold. 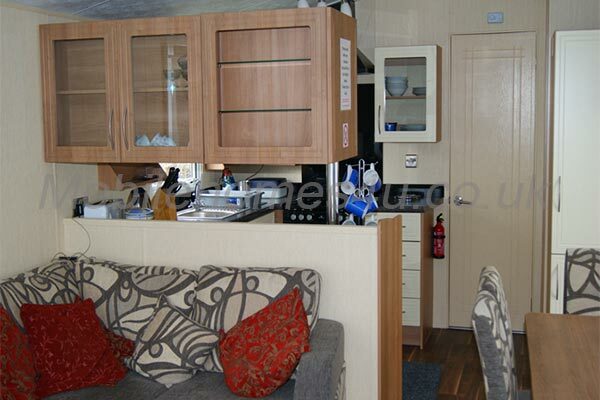 Inside, a large lounge with ample comfortable seating complete with air conditioning. 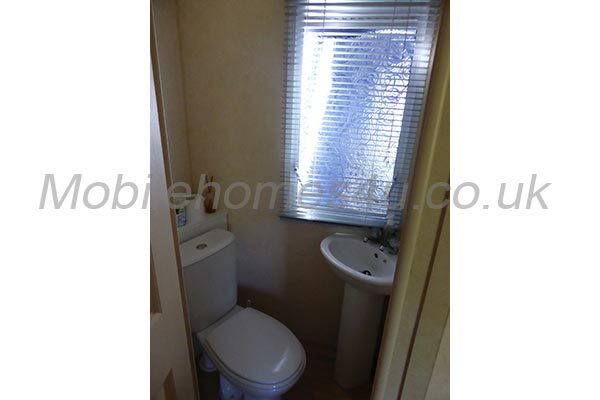 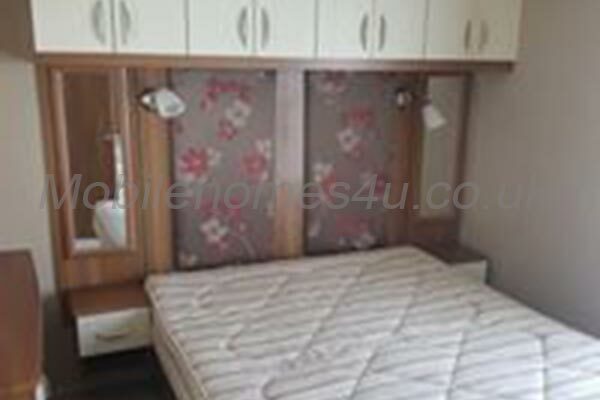 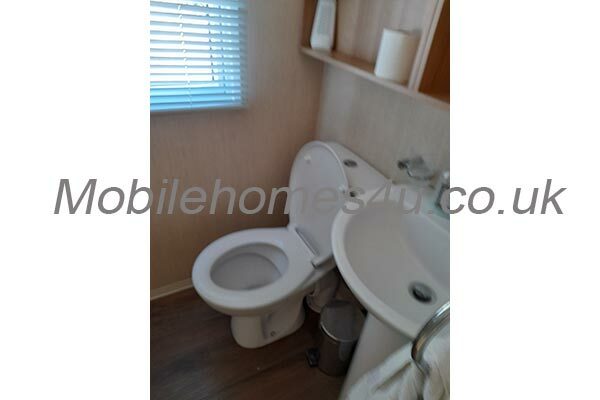 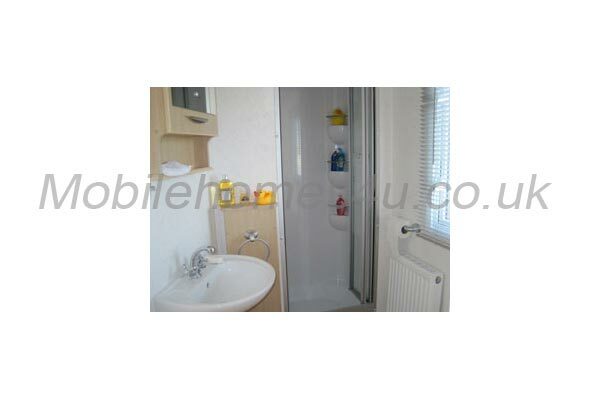 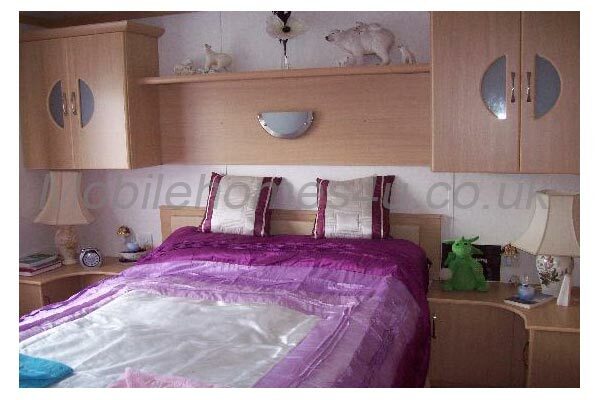 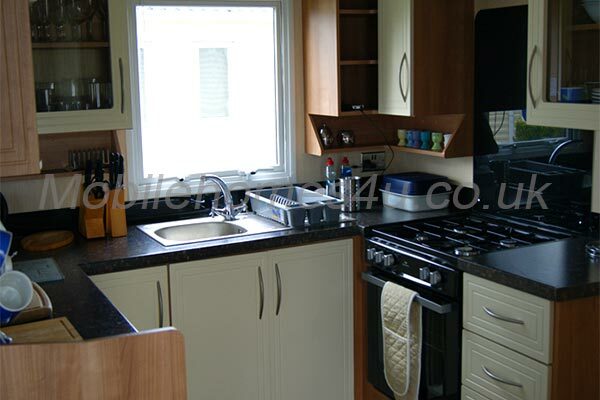 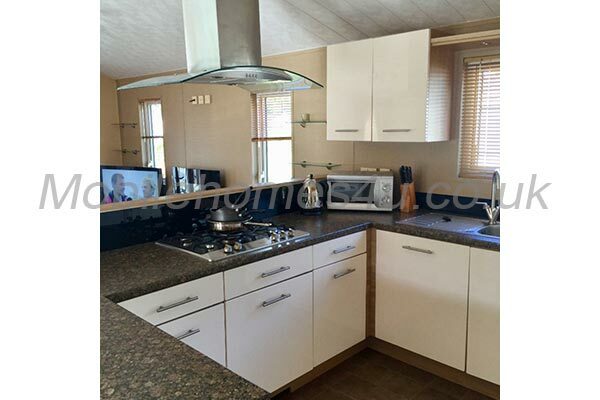 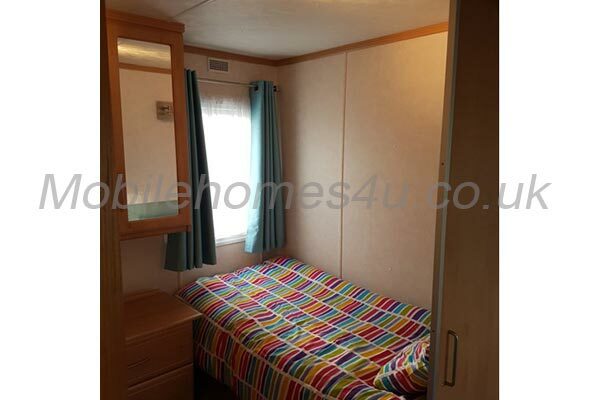 It has a large double bedroom with plenty of storage space, double wardrobes and is en suite to the bathroom. 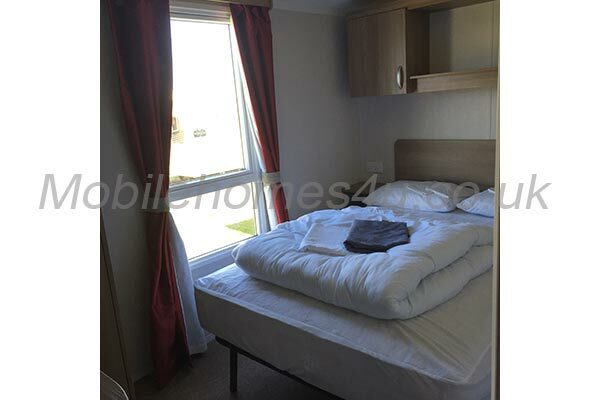 The second bedroom consists of two twin beds and storage. 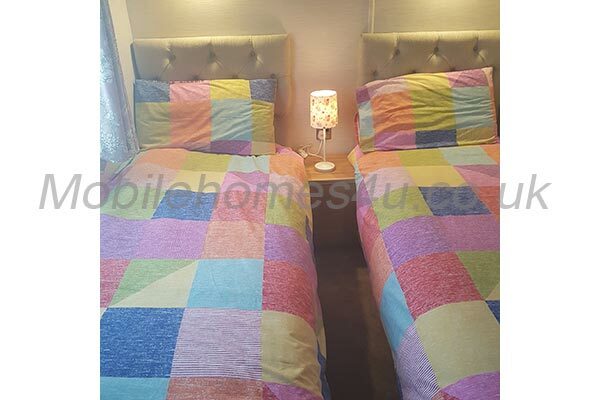 There is a pull out double bed in the lounge area if you wish to extend your party to 5/6 persons maximum, we can accommodate. 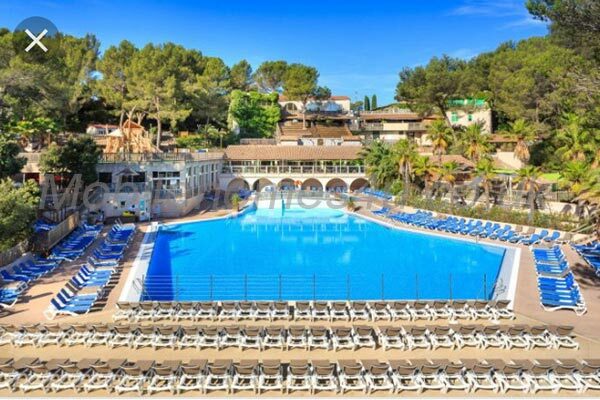 The location of our plot is within a five minute walk to the superb pool complex where there are free sun loungers as well as a fun filled entertainment programme that runs from April to September. 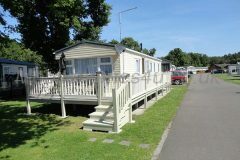 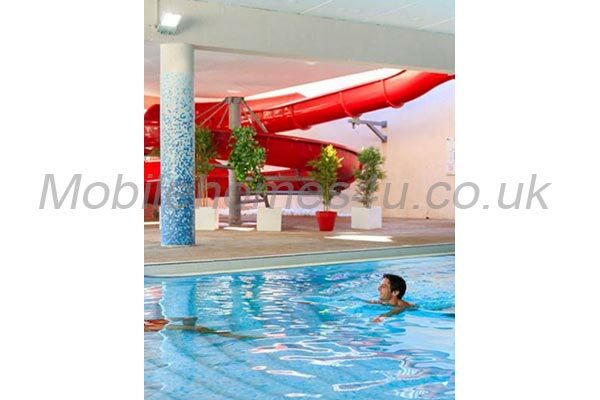 This along with its relaxing spa makes our campsite the ideal place for a chilled out, lively and entertaining stay. 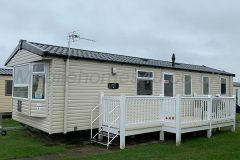 The choice is yours !! 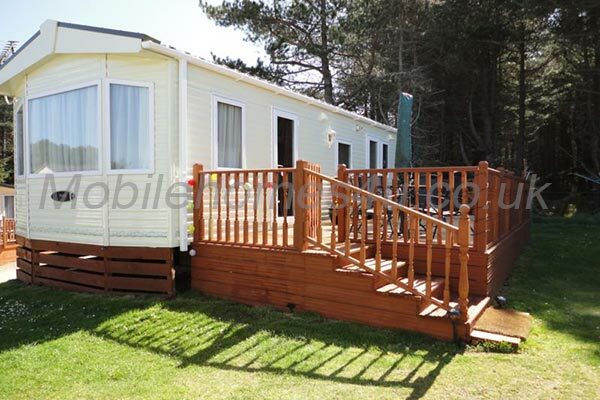 Holiday Green Campsite is set in a 15 hectare pine forest. 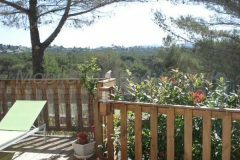 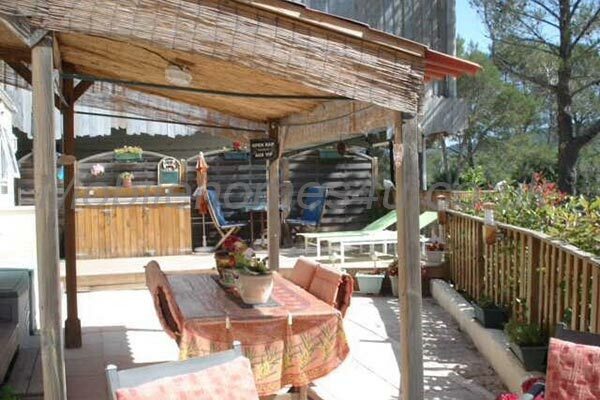 40 mins from Nice Airport between Cannes and St.Tropez. 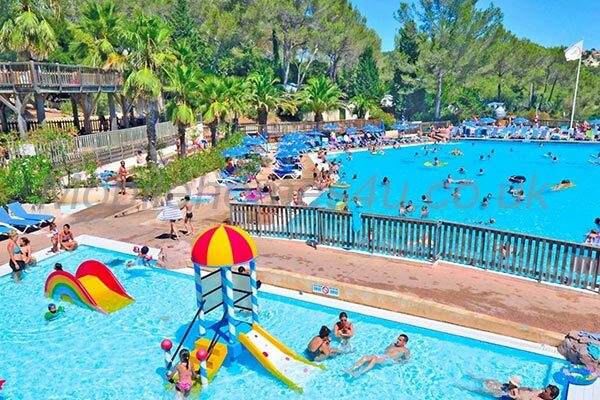 5km from Frejus Centre and some of the most beautiful beaches of the French Riviera. 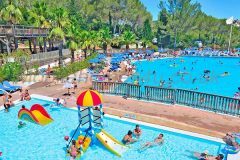 There is entertainment every evening and also in the daytime many activities that both old and young can join in. 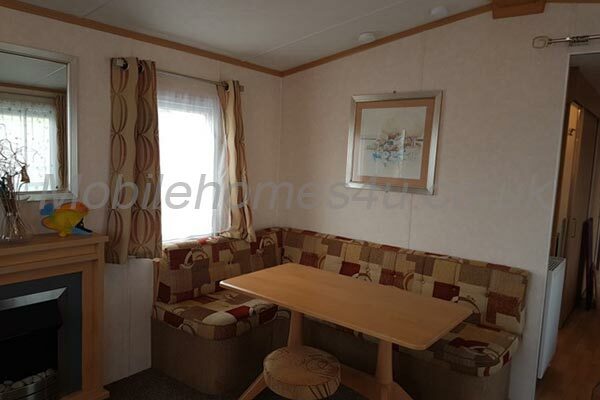 It has a large lounge with lots of comfortable seating, complete with air conditioning. 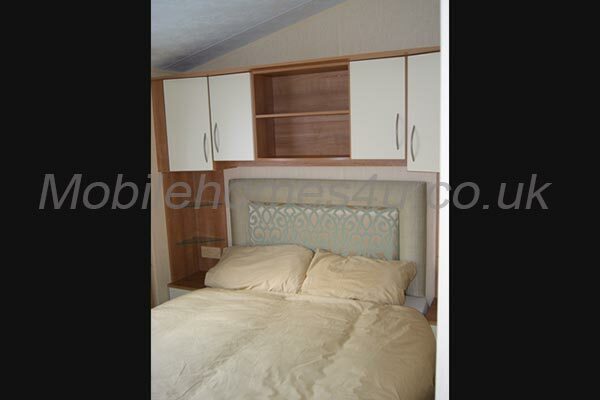 There are plenty of overhead storage cupboards also. 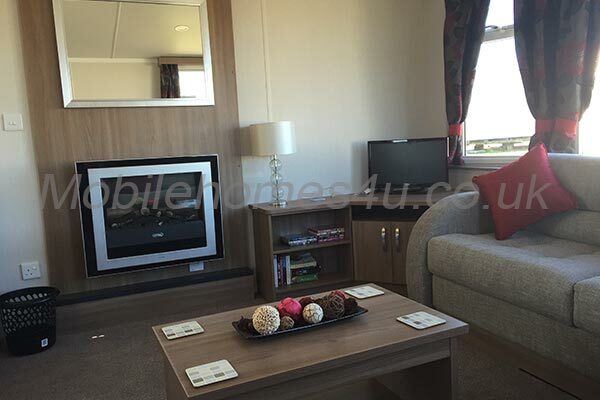 There is a UK flat screen television system with digibox, dvd player and stereo system. Also we have a cabinet with books and numerous dvds. 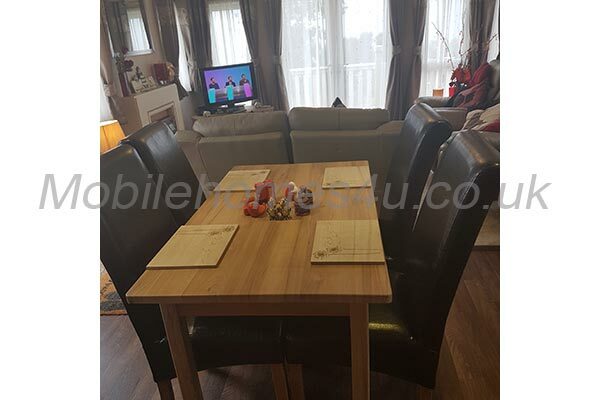 We have a dining table and 4 comfortable chairs inside the home. 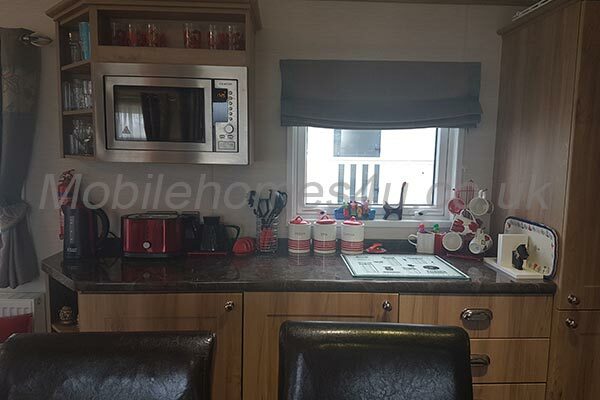 The kitchen has a full gas oven, 4 ring hob, microwave, a large fridge-freezer, toaster, kettle and all the utensils you should require. 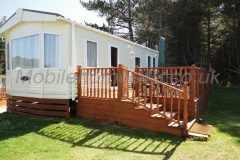 We have an outside cooking area which consists of a mini oven/grill, 2 ring electric hotplate and an electric bbq, plus an outside fridge to keep those drinks cold!! 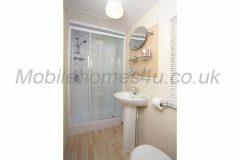 It has a large double bedroom with ample space and double wardrobes, dressing table bedside cabinets and is en suite to the bathroom. 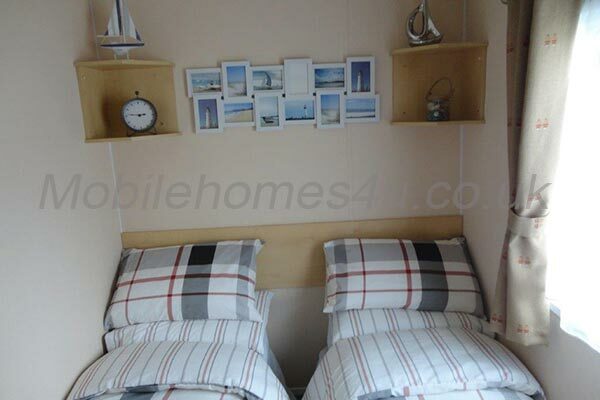 There is also a bedroom with twin beds, wardrobe and bedside cabinet. 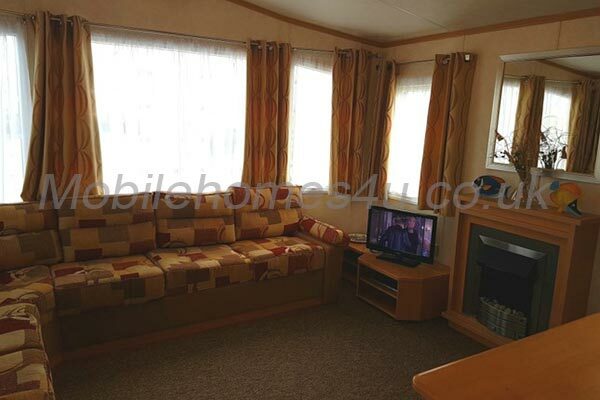 Also a pull-out double bed in the lounge area. 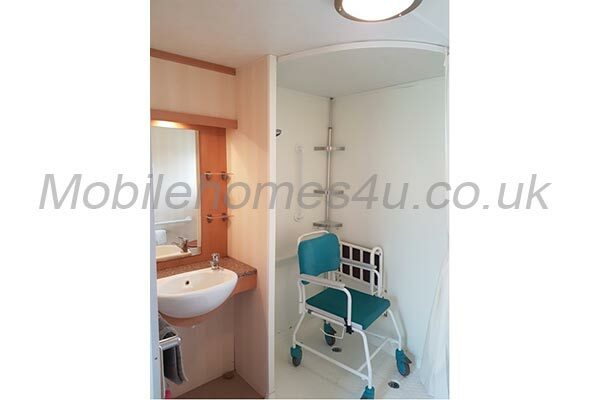 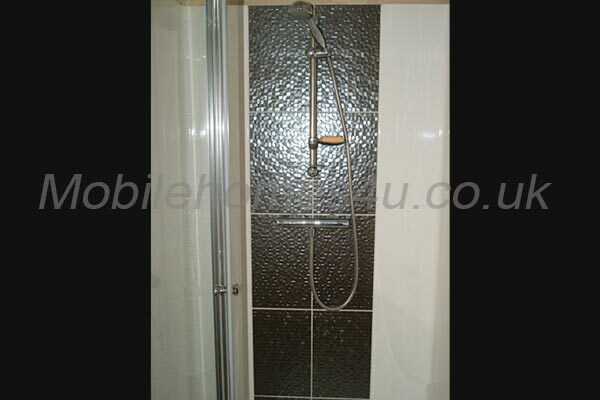 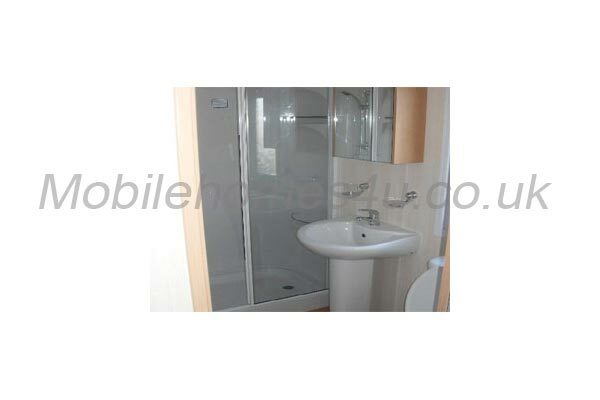 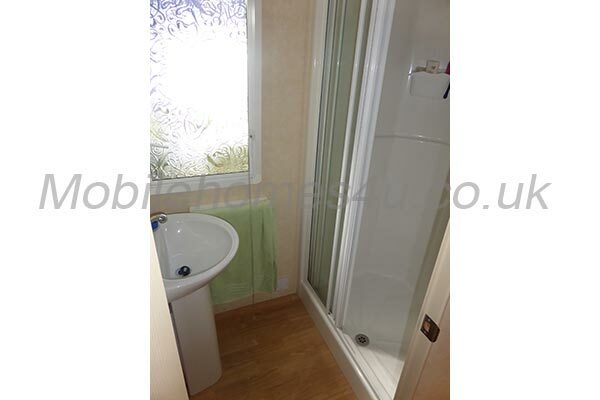 En suite from master bedroom and consists of a large shower area, wash basin, toilet and cupboard for storage. We have 3 outside areas one area with a wooden dining table and 4 chairs under a wooden gazebo. 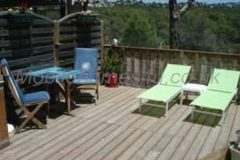 Another area with sun loungers and small table with 2 chairs. 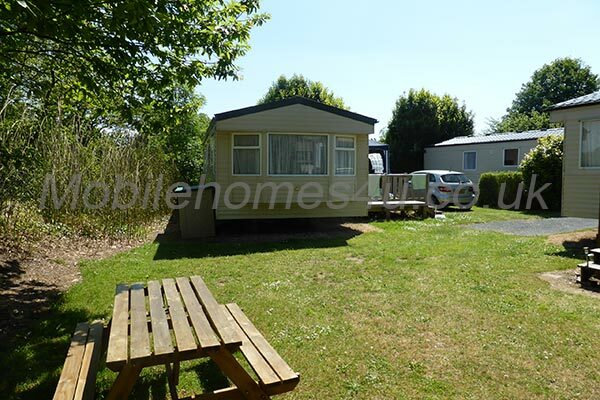 We have an outside cooking area which consists of a mini oven/grill, 2 ring electric hotplate and an electric bbq, plus an outside fridge to keep those drinks cold!! 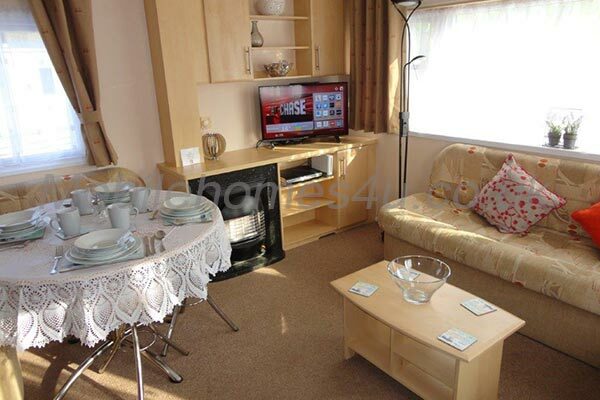 Plus another area with a glass coffee table and comfortable seating. 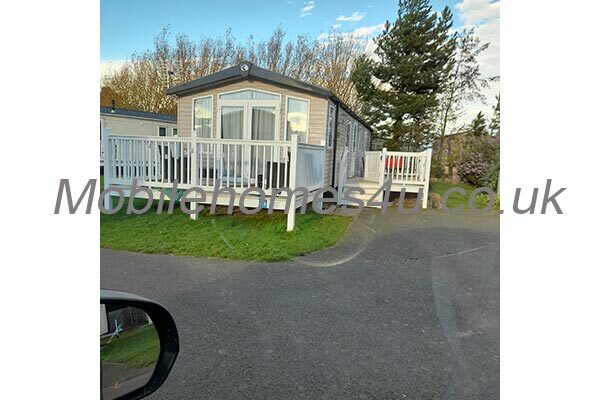 Parking can be on the main car park and also you can park outside our mobile home. 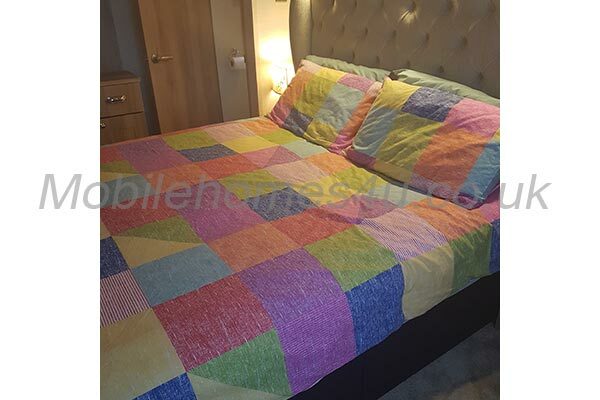 All bed linen can be provided if pre-booked, at a small extra cost - please enquire. 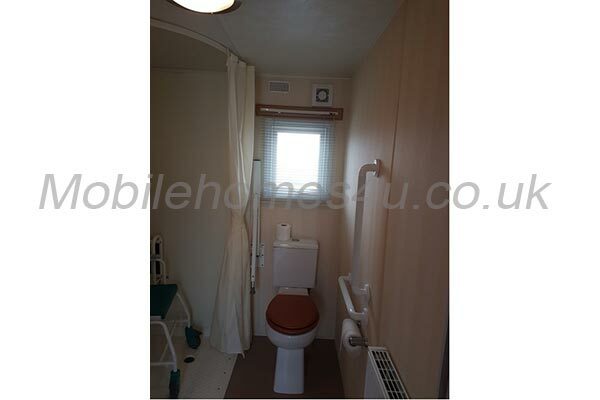 However, guests are required to bring towels and tea towels. 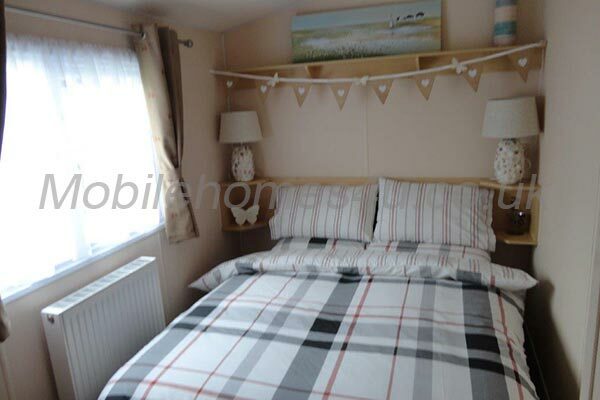 Pillows and quilts are provided as standard. 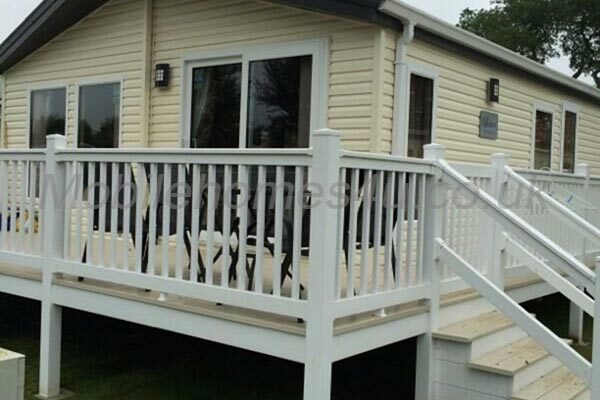 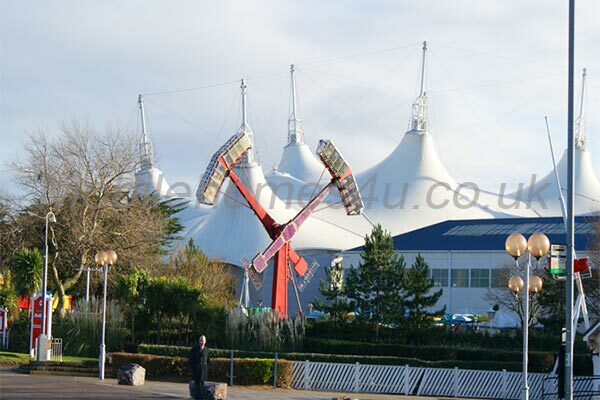 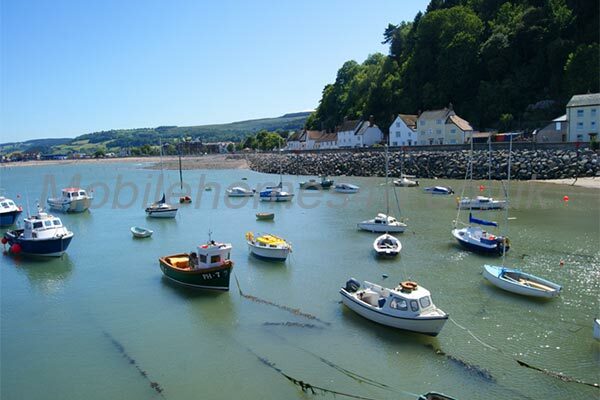 At the time the booking is accepted a 30% non refundable deposit is required, plus £200 refundable damage deposit. 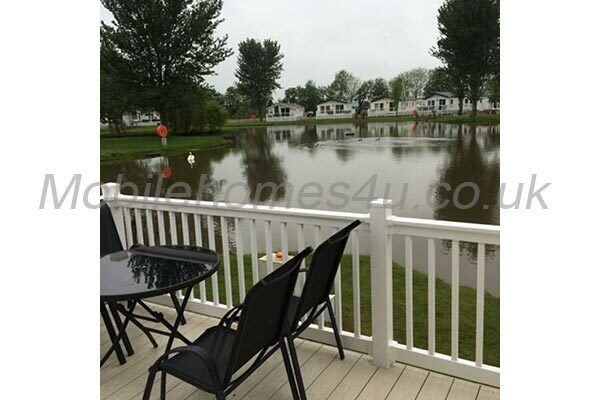 (Please ensure you are adequately insured). 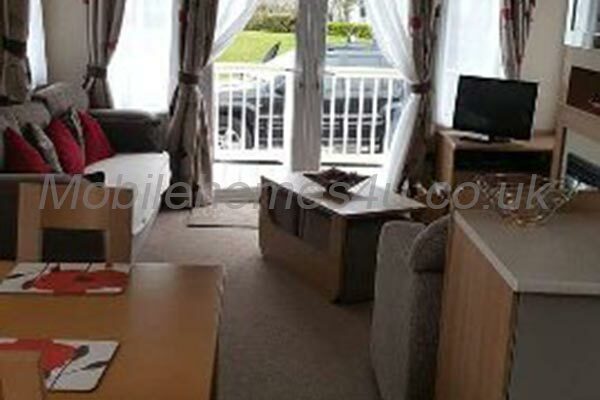 This damage deposit will be refunded as soon after the completion of the holiday following an inventory and damage report by the cleaning staff. 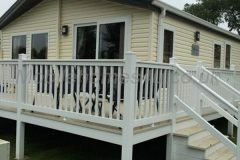 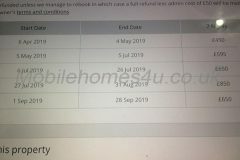 The balance of the holiday rental must be paid 6 weeks before the arrival date. If your booking is made within 6 weeks of the required date, then the full rental amount is required immediately. 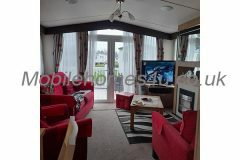 In the event of a cancellation before final payment is made, then the booking deposit is retained. 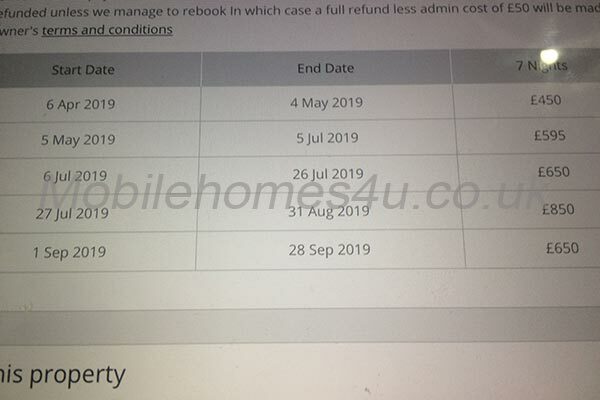 If you cancel after full payment ( and we will do our best to re-let) then only the security/breakages deposit is refunded unless we manage to rebook In which case a full refund less admin cost of £50 will be made. 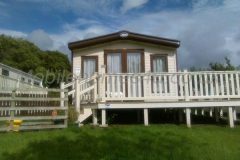 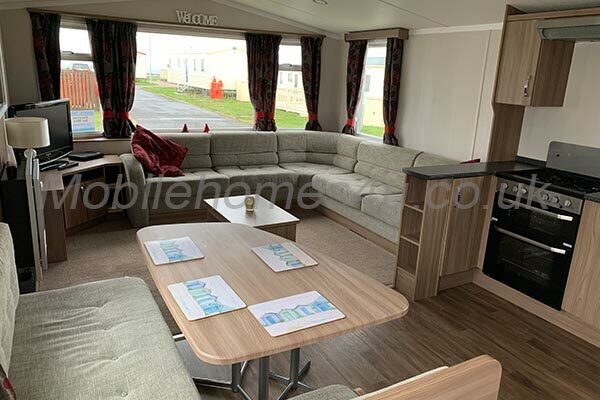 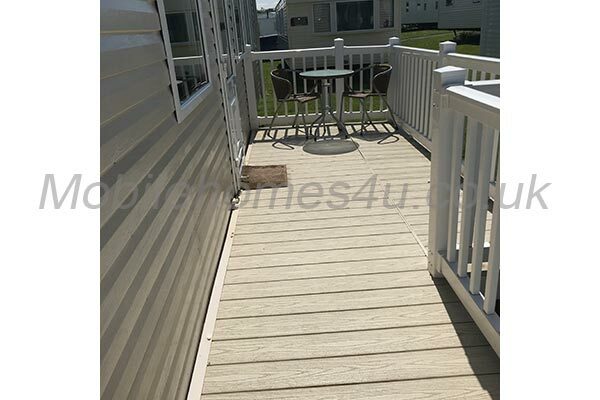 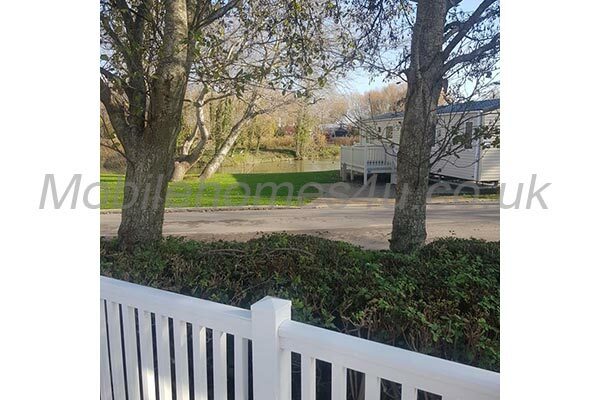 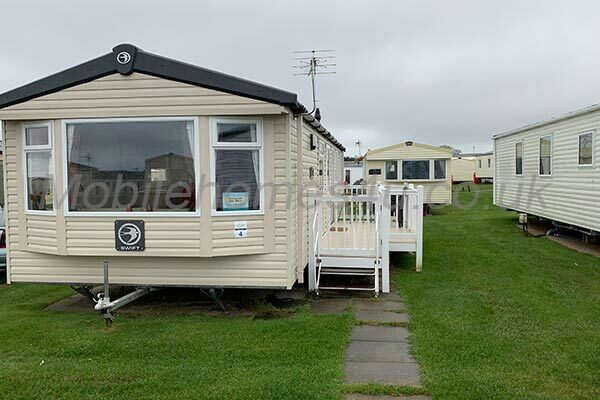 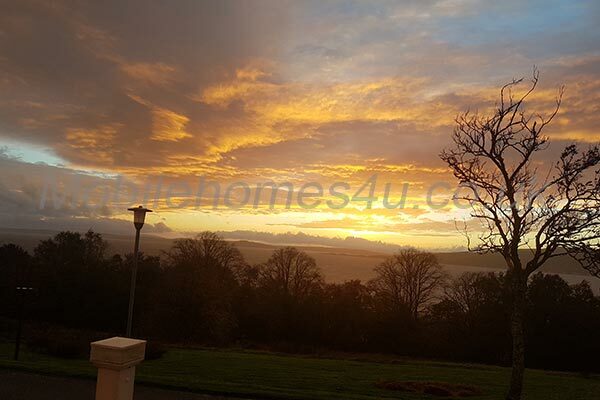 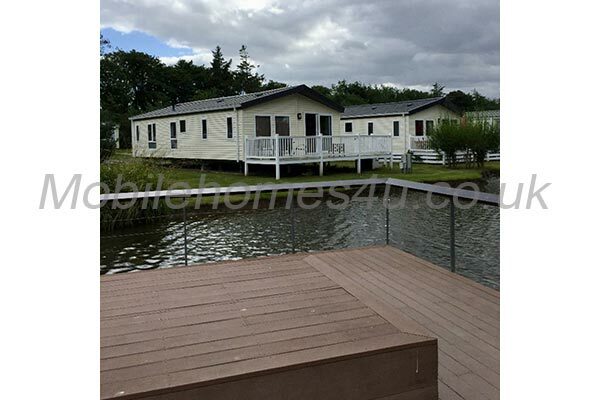 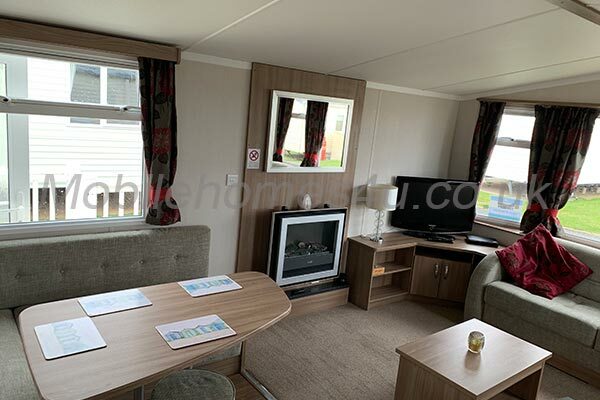 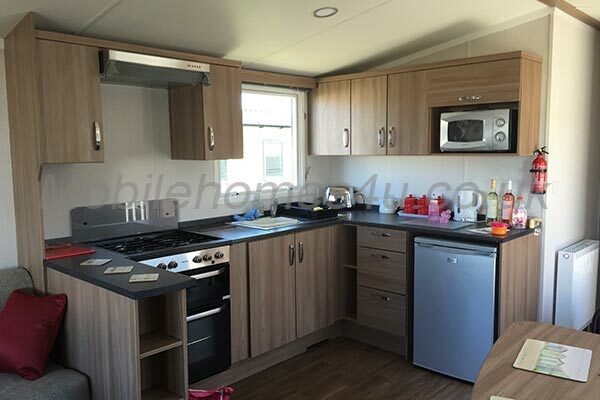 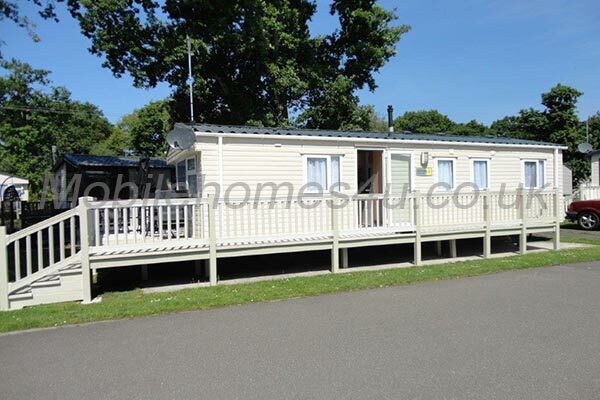 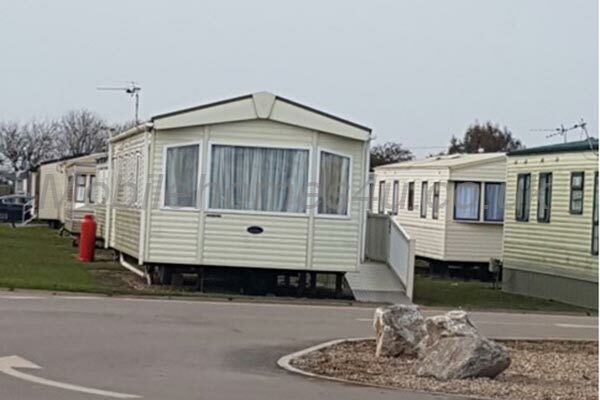 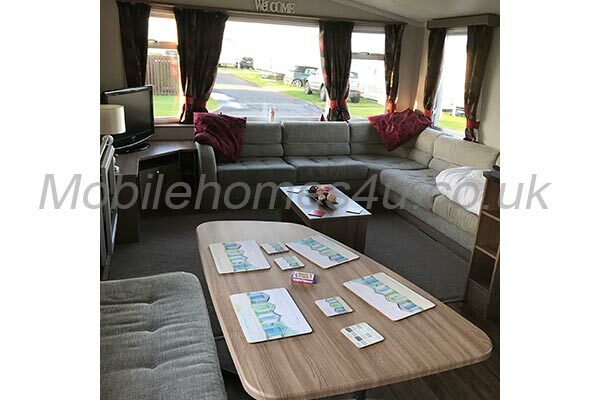 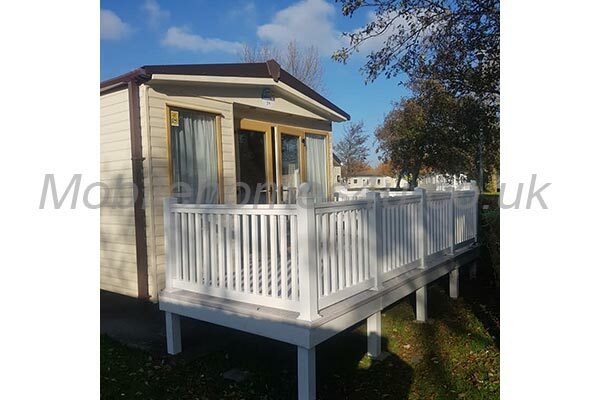 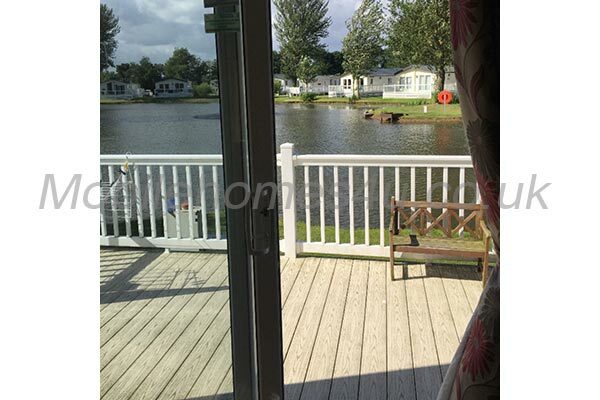 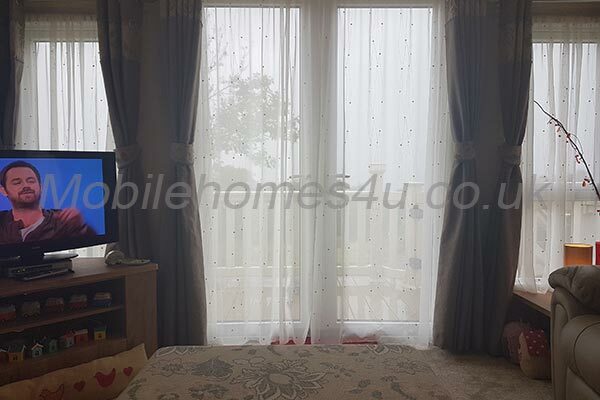 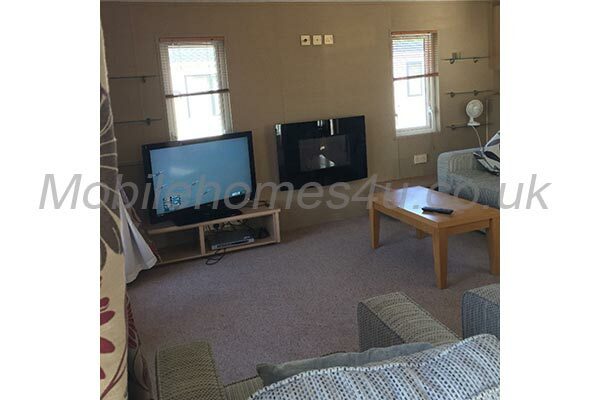 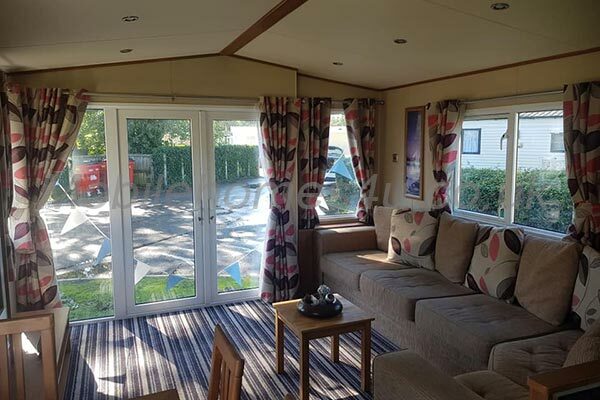 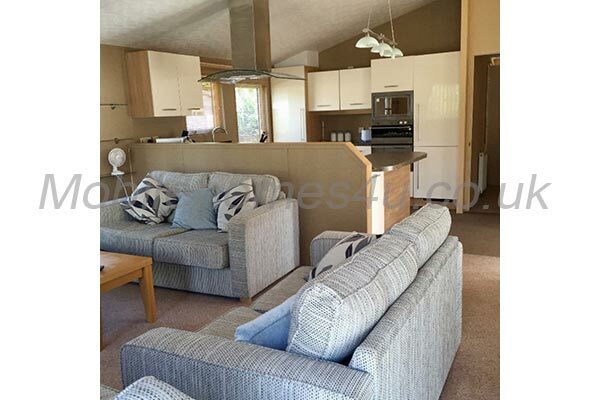 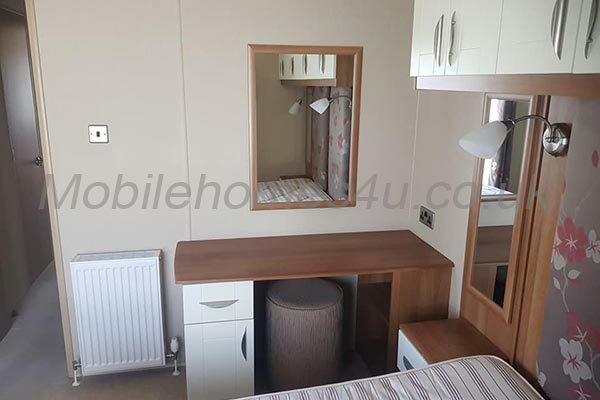 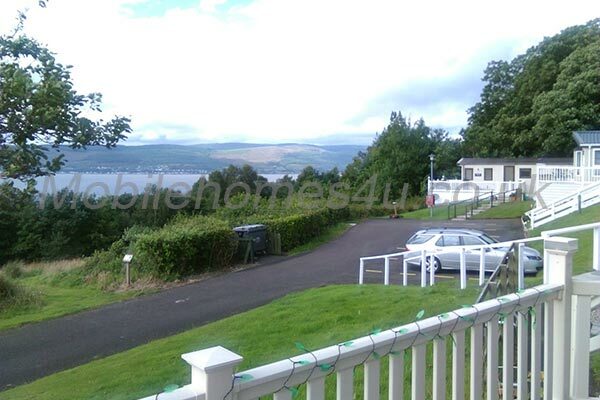 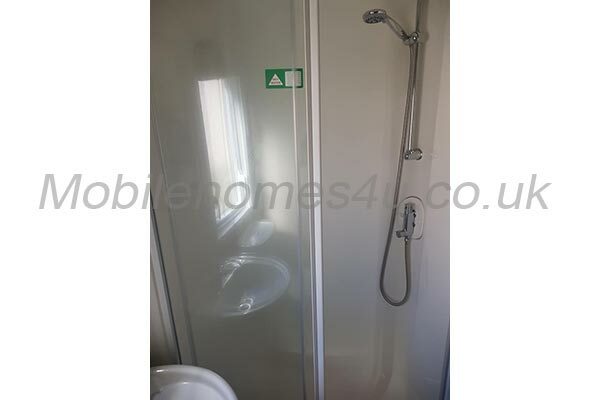 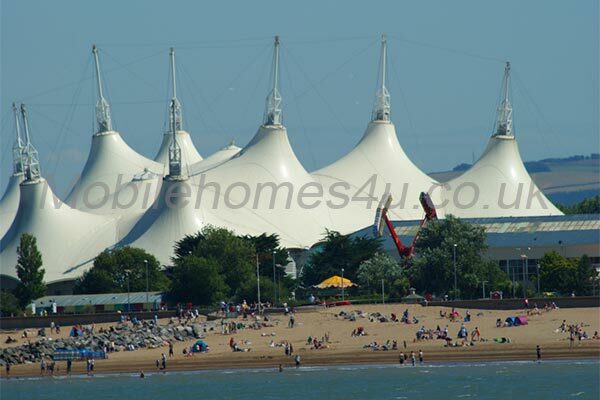 By making a booking for this unit you agree to be considerate and take good care of the property, respect the enjoyment of those in neighbouring properties, and to comply with the rules in force on the campsite. 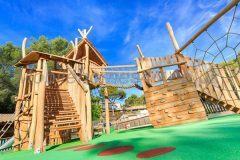 The campsite imposes a levy for use of activities. 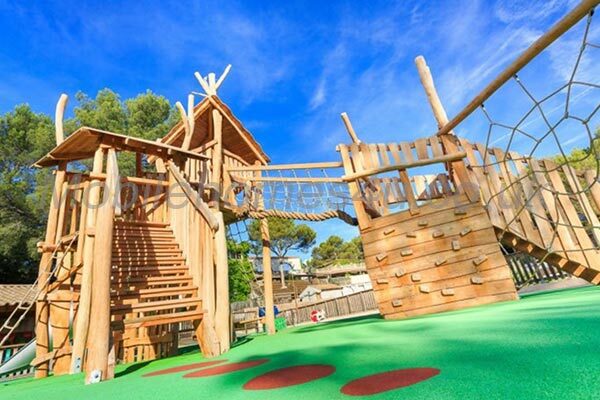 All persons over 6 must pay 10 euro per day, ages 2-6 it's 7 euro, 2 & under are free. 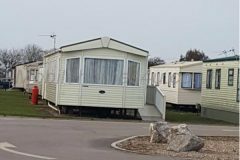 As owners we have 12 free passes per season that we will try to evenly distribute up to two per booking during peak times to help with this cost.